Highly developed reliable and strong drive with an outstanding power range of 160 – 250 kW. It is able to take a high radial load and robust in design. Heavy loaded conveyors in gravel and sand. The motorized pulley 1000HD is designed for tough, irregular, extreme and brutal working condition. 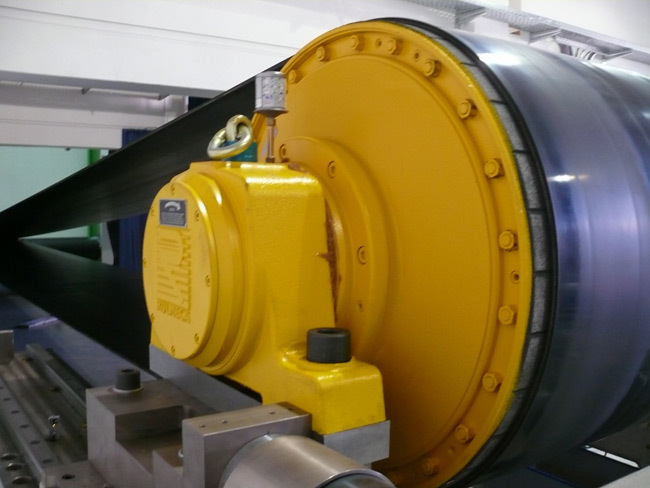 The compact design allows the design engineers to save material and cost when developing the conveyor. A high protection rate connected with the standard labyrinth sealing system it can be used in all ambient conditions.